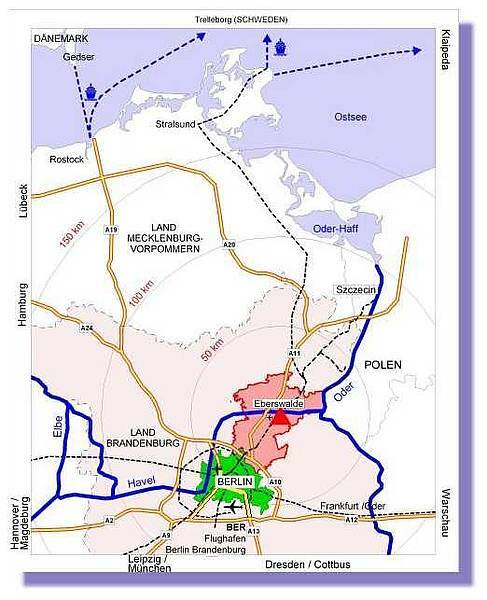 The Barnim proffers a good standard of living. 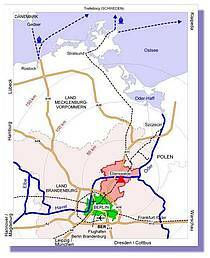 The people of Barnim are cautious with their nature; they have rediscovered the beauties of their area and so consider every new development with the greatest care. In the idyllic villages there are churches built from the glacial boulders left behind by the last ice age and shady village greens. The surrounding houses have been restored or renovated outside and modernised inside. To add to this pleasant picture, many towns have now built new residential housing areas in the best taste. Open-minded neighbours and a modern infrastructure are there to welcome new residents: There are children's playgrounds and parks, business and shopping centres, baths, kindergarten nurseries and schools, doctor's practices and clinics, old people's homes and a functional transport system. Also cultural activities are being conscientiously developed in Barnim and this has attracted many artistic people who have come to live here. There is a fresh wind blowing in Barnim. Plans for business and investment can take root in fertile ground. Commercial areas offer innovative enterprises a place to develop. The regions workforce is trained and educated and this is yet another excellent resource. As we have said, the main areas of development for the future are tourism, health, energy and the metal working trades. Education in Barnim is high on the list. >From the nursery to the school to the college and additionally the system of professional and further education is highly developed. 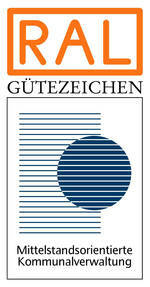 The technical college in Eberswalde attracts top teachers and students from all over the world. 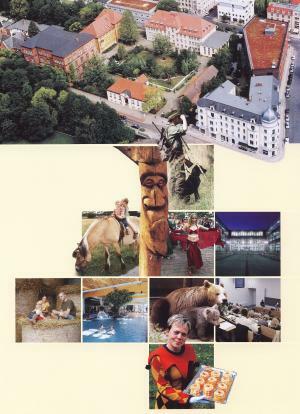 Young people enjoy themselves because in Barnim the life is pleasant.